Swimming pools and spas come in all shapes, sizes, and colors. In-ground pools are typically constructed of concrete, vinyl liners, or fiberglass while most above-ground pools are constructed of aluminum, vinyl, resin, and composite materials. 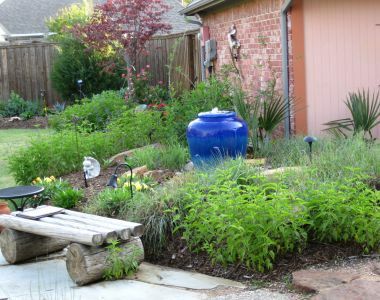 A common choice for homeowners in the Dallas and Fort Worth metroplex are in-ground, gunite (a.k.a. concrete) pools with adjacent, attached spas or whirlpools. Increasing in popularity are vanishing edge and zero-entry pools along with pools featuring elaborate stonework, boulders, natural waterfalls, and fountains. Rustic flagstone coping and mosaic tiling are popular accents in contemporary pool design. Many pool contractors now offer freshwater, chemical-free pool systems along with salt-water and traditional chemical pool systems. Whether you and your family will be using your pool for exercising, sports, recreation, entertaining, or relaxation, take some time to browse pricing, review styles, and research DFW pool and spa contractors on YardHookup.com or in books and magazines. By doing a little research in advance, you can actually save some time and money on a large project such as a new pool installation. Residential pools require ongoing weekly, monthly, and yearly maintenance. 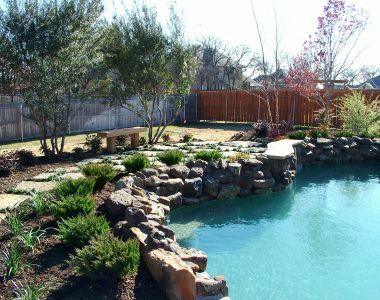 Ensure any pool under consideration for you and your family is in line with your family’s needs, budget, and lifestyle. Pricing for swimming pools varies by material, shape, and size. Average pricing for in-ground, kidney-shaped concrete pool starts around $20,000 not including any additional water features such as fountains or jets, decorative flagstone coping, special water treatment systems, or maintenance. The Association of Pool and Spa Professionals offers continuing education and certifications for pool installers and contractors. For any pool installation companies under consideration, inquire if anyone on their staff has received a 'Certified Building Professional' or 'Certified Service Professional' certification offered through APSP. Average pool maintenance, service, and chemicals cost between $100 to $200 per month. Request references and a project portfolio from all contractors under serious consideration. Always request and verify all pool, spa, and whirlpool contractor licenses and insurance. Make sure you and the pool installation company fully comprehend all financing and signed legal documents. Once the pool is completed, ensure the contractor provides you with a thorough explanation of equipment programming and required maintenance for your new pool.